On some level, Toyota’s new hybrid version of its RAV4 compact crossover defies logic. It’s a hybrid, and that’s supposed to connote attention to fuel economy, even at the expense of performance if necessary. However, the gas/electric RAV4 is ultimately more powerful than its solely gas-motor-powered siblings while still tallying better fuel mileage. 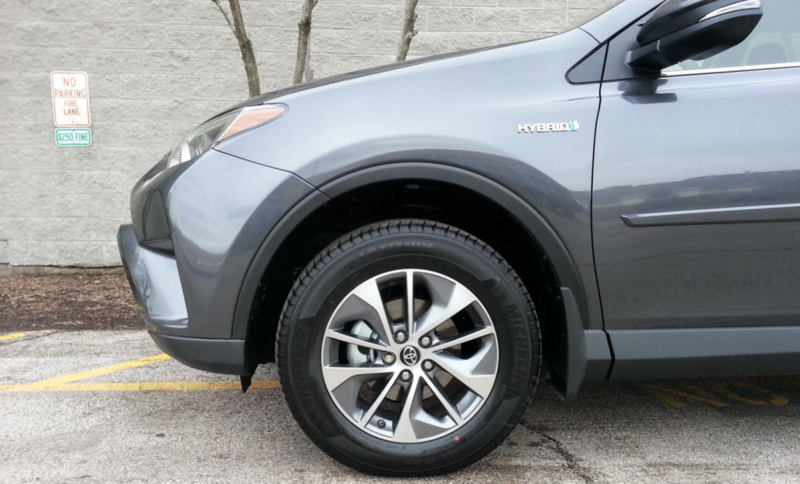 Consumer Guide’s test RAV4 arrived in Classic Silver Metallic, a no-cost paint option. 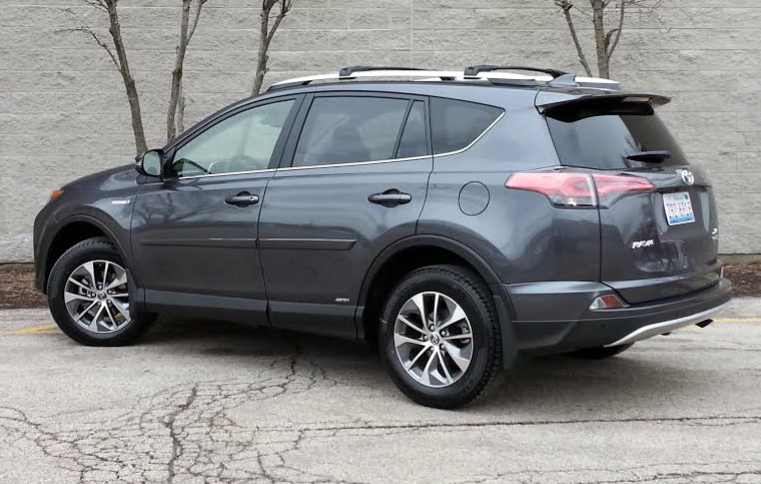 Hybrids—there are two: the XLE that Consumer Guide® tested and a plusher Limited—have the same 2.5-liter four-cylinder engine found in all other RAV4s. In the conventional models, it provides 176 horsepower. Meanwhile, the hybrids use a thriftier, detuned version of this engine to drive the front wheels, plus a pair of electric motors—one of which is in back to drive the rear wheels when the need arises for all-wheel operation—for a total-system rating of 194 horsepower. 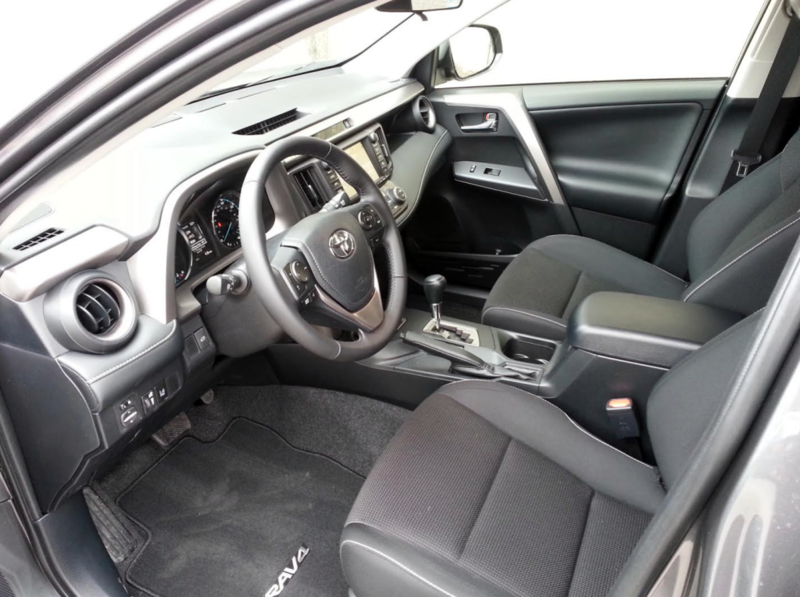 In XLE trim, the RAV4 cabin looks and feels a little ordinary. There’s a surprising amount of room, however, even for larger and taller folks. Even with a continuously variable transmission in place of the nonhybrid’s six-speed stepped-gear automatic, and greater heft (a Hybrid XLE like CG’s test car outweighs an all-wheel-drive gas XLE by 320 pounds, for example), the hybrid is a fairly lively driver. It is eminently ready to pass on the highway when in either basic drive mode or the supposedly zestier “Sport” setting. The manufacturer claims a 0-60-mph time of 8.1 seconds, almost a full second faster than a gas-only RAV4. Fuel economy figures for the RAV4 Hybrid as figured by the EPA come to 34 mpg in city driving, 31 on the highway, and 33 combined. With 63 percent of his driving under city-type conditions, this driver didn’t do quite that well: 29.73 mpg after a trip of 164.9 miles. However, that was still a good 9.5 mpg better than he managed in a 2015 front-drive nonhybrid RAV4 with roughly the same percentage of city driving. Note that “EV” and performance-damping “ECO” settings are included to help drivers maximize fuel-saving efforts when lower-speed driving prevails. In addition to being a little speedier and considerably stingier with gas, the RAV4 Hybrid exhibits a few other differences from its kin. For one thing, its modest 1750-pound towing capacity is still 250 pounds more than a nonhybrid job is rated to pull. On the other hand, it suffers a little in the cargo space department. The rear electric-motor infrastructure occupies territory behind the rear seats, reducing cargo room by 2.8 cubic feet to 70.6 cubic feet. RAV4’s second-row accommodations are generous for the class; knee- and headroom are ample. 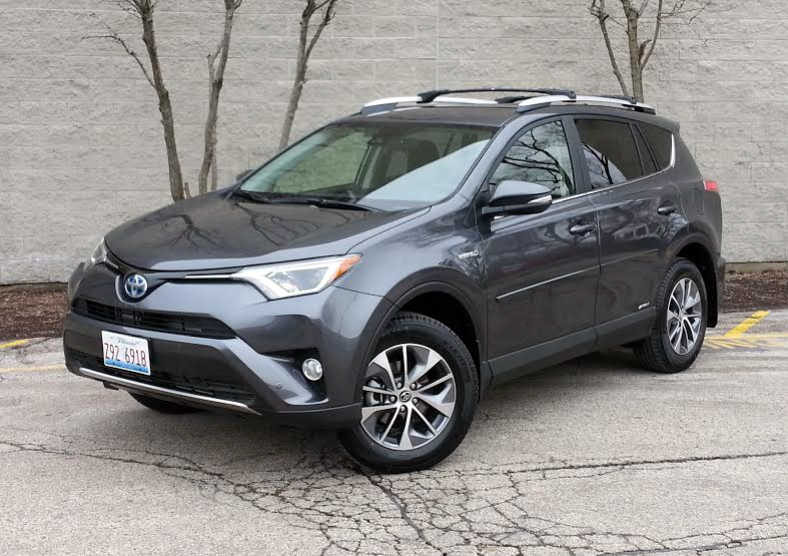 General revisions to the RAV4 for 2016 that show up on the Hybrid XLE include freshened styling, particularly in the front, and the addition of padded surfaces to the tops of the front doors. (The tops of the rear doors have a complementary look, but lack the underlying “give.”) Other standard interior features of CG’s test vehicle consisted of a leather-wrapped steering wheel, tilt and telescoping steering column, bolstered front seats, 4.2-inch thin-film transistor (TFT) information display, remote keyless entry, pushbutton starting, dual-zone automatic climate control, and a back-up camera. 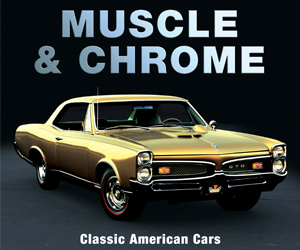 Externals were 17-inch alloy wheels, roof rails, a height-adjustable power liftgate, moonroof, fog lights, rear spoiler, and heated exterior mirrors with integral turn signals. The Hybrid XLE’s base audio/infotainment system is Toyota’s Entune Audio Plus with connected navigation app, 6.1-inch touchscreen, AM/FM radio, MP3/WMA playback capability, six speakers, auxiliary audio jack and USB port, voice recognition, Bluetooth wireless connectivity, satellite radio, and HD radio, but a premium system with a seven-inch screen and a few more features is optionally available. Controls are generally easy to read and reach. (The TFT information center in the 2016 RAV4 is more legible than the one in the ’15 model.) Climate settings are governed by buttons to select function, with handy rotating dials to choose temperature. Audio presets are easy to set and access. Storage for incidentals in front consists mainly of a decently sized glove box, and a fairly ample cubby (with a flip-up tray) under the console arm rest. A deep recess in the dash above the glove box forms a useful tray. There are two open cup holders on the console, and small door pockets with room for bottles. Second-row storage is handled by pouches on the backs of the front seats, bottle holders in the doors, and twin cup holders molded into the pull-down center arm rest. 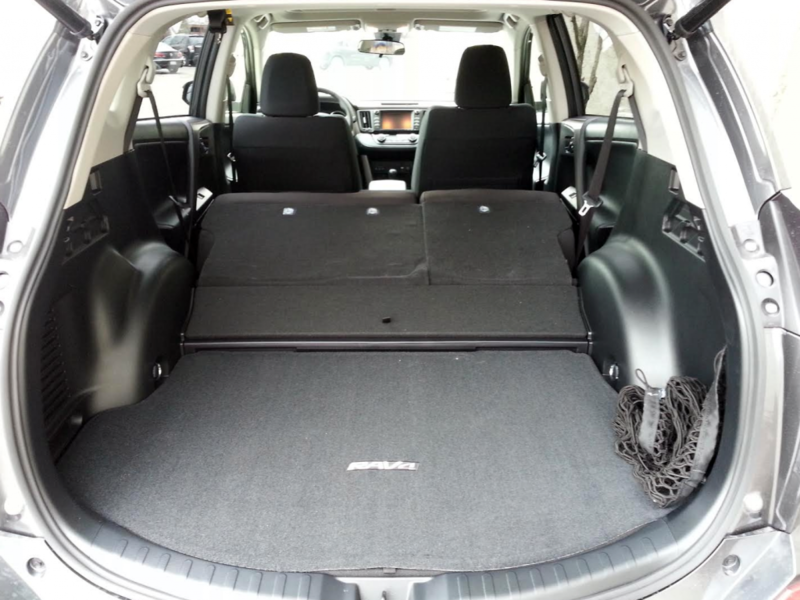 Unlike those in a conventional RAV4, the second-row seats in the Hybrid don’t fold completely flush with the cargo floor, this to accommodate hybrid components located under the floor. The rear cargo floor is flat, liftover is conveniently low, and tie-down hooks are provided to help secure loads. Rear 60/40-split seats fold very nearly flat, but at a point above the plane of the cargo floor. A ramp over the rear-motor housing smoothes the transition between these two surfaces, but straight-through loading of long items will be slightly complicated by this. 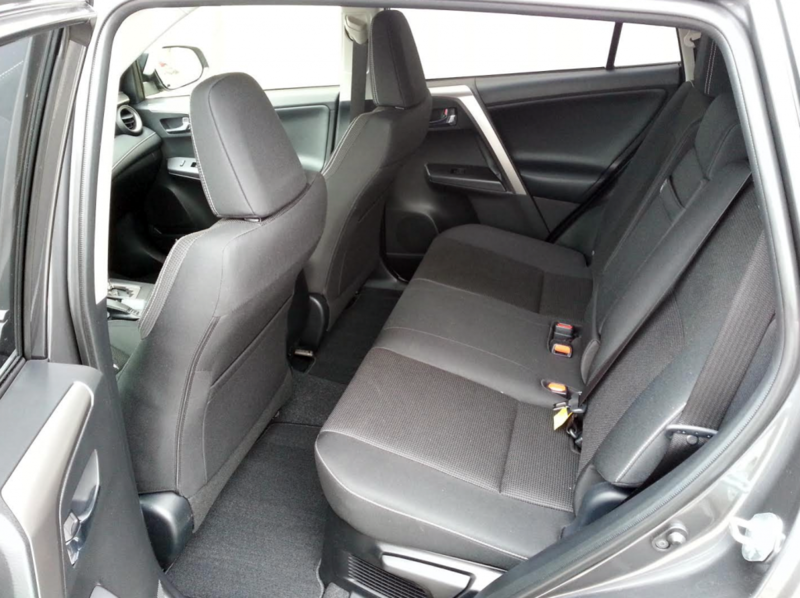 The cloth-covered front seats are supportive and manually adjustable for height. This driver had all the leg room he needed and was not crowded under the moonroof—though it does take up some overhead space. Rear seats can hold three average-sized adults, thanks to a low, flat driveline tunnel that adds foot room, and better head room behind the moonroof. Rear seat backs recline, and leg room is quite good for a small vehicle. Entry/exit is easy, and outward vision to almost every angle sees few obstacles. Ride is a little firm but damped well enough to keep occupants undisturbed most of the time. Cornering lean is fairly well controlled, and close-quarters maneuverability is easy. All of this comes for a starting price of $28,370 on the Hybrid XLE. That’s $700 more than its all-wheel-drive gas counterpart—but $5240 less than the Limited Hybrid, which adds the premium audio system, 18-inch wheels, LED headlights, leatherette upholstery, and enhanced tech features. 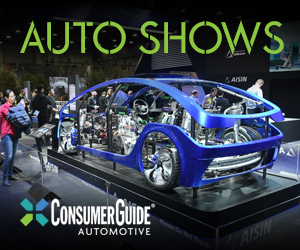 Considering that the only other hybrid in the subpremium compact-crossover field is Subaru’s Crosstrek, shoppers interested in this portion of the market should have a fairly easy time coming to a decision. There’s precious little to help folks distinguish Hybrids from conventional RAV4 models, save for a few modest Hybrid badges. Written by: The Daily Drive staff on March 17, 2016.on March 22, 2019.